This is the perfect and easiest dessert recipe after heavy dishes, especially Asian food. 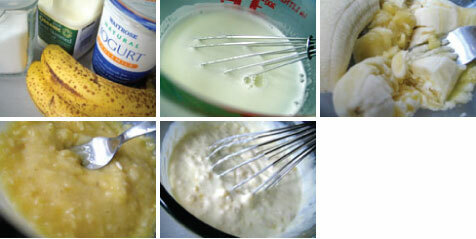 It takes for just 5 minutes and simple ingredients. My old friend tomo cooked it for me about 10 years ago. This is literally sweet memory for me. 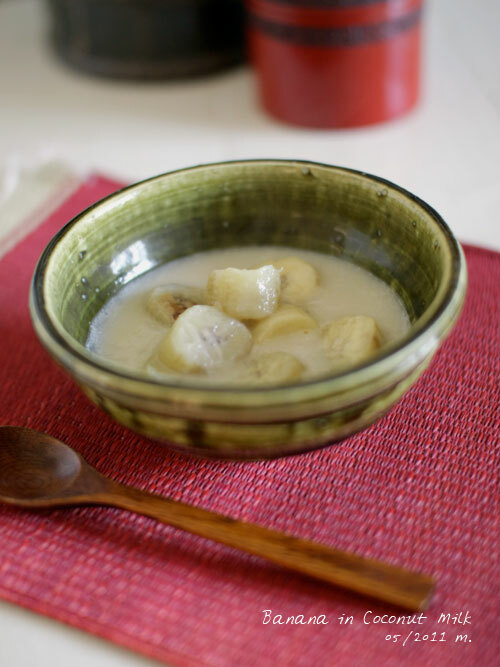 Heat the coconut milk, sugar and banana in a small pan over a low heat. Simmer about for 5 minutes. Serve hot or cold. Place the flour, sugar and butter. Rub in with your fingertips until the mixture resembles breadcrumbs. 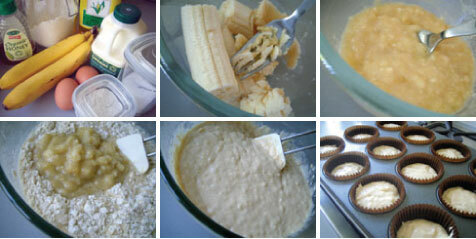 Place the peeled bananas in a oven proof dish. 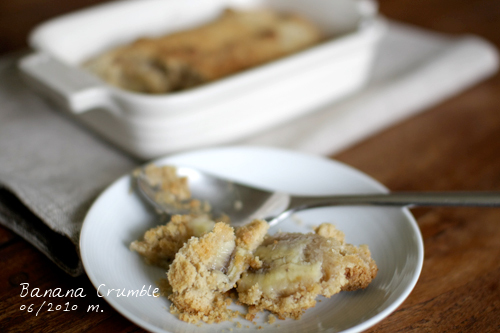 Spread the crumble mixture over the bananas. Bake for about 30 minutes or until they are cooked and the top is golden brown. Serve hot with vanilla or chocolate ice cream.